The European Union does not rule out the use of sanctions on Russia if its actions in Syria are found to fall short of the tasks of counterterrorism and if it is confirmed that the targets of the Russian aviation are not the extremist group ISIS, a high-ranking European official, who spoke on condition of anonymity, told reports on Oct. 9. Such developments are possible and the EU will follow Russia's actions in Syria, but it is now too early to speak about such a scenario, the source said. Meanwhile, the Kremlin says it does not know of such reports. "It's likely related to the category of the huge number of reports on behalf of sources, in which the information space now abounds and which should be treated very and very cautiously," presidential press secretary Dmitry Peskov told reporters on Oct. 8. "The Kremlin does not know anything about that. I have not seen such statements. 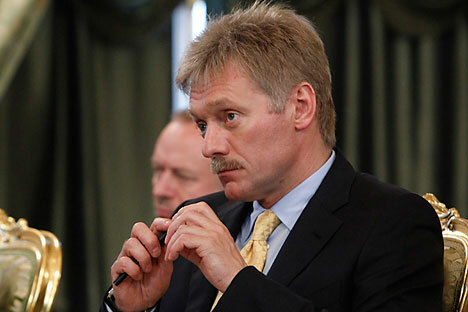 On the contrary, there were statements that the sanctions issue is not being discussed in any way in the context of the Syrian events," Peskov said.